Peppermint (Mentha Piperita) other names: Black Peppermint, Bo He, Brandy Mint, Chinese Peppermint, Corn Mint, Extract of Mentha Piperita, Extract of Peppermint, Extract of Peppermint Leaves, Extract of Peppermint Leaves, Extrait de Feuilles de Menthe de Poivrée, Extrait de Mentha Piperita, Extrait de Menthe Poivrée, Feuille de Menthe Poivrée, Field Mint, Herba Menthae, Huile de Mentha Piperita, Huile de Menthe Poivrée, Huile Essentielle de Menthe Poivrée, Lamb Mint, Menta Piperita, Mentha arvensis, Mentha halpocalyx, Mentha lavanduliodora, Mentha Oil, Mentha Piperita, Mentha Piperita Extract, Mentha Piperita Oil, Mentha x piperita, Menthae Piperitae Aetheroleum, Menthae Piperitae Folium, Menthe, Menthe Anglaise, Menthe Poivrée, Menthe Pouliot, Menthe Sauvage, Menthe Verte, Menthol, Mint, Mint Balm, Oil of Peppermint, Paparaminta, Peppermint Essential Oil, Peppermint Extract, Peppermint Leaf, Peppermint Leaf Extract, Peppermint Oil, Sentebon, Western Peppermint, Yerba Buena. The peppermint is a very popular herb and many commercial products are prepared using this herb, and due to the tremendous popularity it has enjoyed as a flavoring agent and it is so widely used to make many kinds of edible and consumable products used for human consumption, it may be easy to believe that the peppermint is one of the oldest known herbs. The main use of the peppermint herb lies primarily to take advantage of its stimulating, stomachic and carminative properties in the body, thus the herb has been used in the treatment of indigestion, to alleviate the symptoms of flatulence - excess gas, and to treat disorders such as colic. Herbal teas of the peppermint are usually taken for the treatment of many disorders; the moderately warm herbal peppermint tea is prepared from the leaves of the herb. For fairly rapid relief from any symptom, patients usually slowly sip several cups of the tea at a time. The uses of peppermint as a combination herb is much more extensive in Europe, and the peppermint herb is often incorporated into many other tea mixtures, especially the ones which are for the purpose of alleviating various disorders arising in the stomach, to treat problems of the intestines, and to treat liver conditions. The common use of the peppermint is as a simple flavoring agent in most of these tea mixtures, although at the same time, its contribution to certain beneficial actions of these mixtures cannot be ruled out with certainty. The volatile oil in the peppermint also additionally acts as spasmolytic agent, and this results in reduction of the tonus in the lower esophageal-cardial-sphincter and this result in the facilitation of eructation process - commonly known as belching. One direct area of possible application for this antispasmodic property of the herb may be seen in the popularity of peppermint herbal tea as a household remedy for painful menstrual cramps in women. Another property of the peppermint oil is its ability to temporarily inhibit the hunger pangs arising in the stomach, this effect is not lasting and the resumption of the peristaltic movements in the stomach will revive the hunger pangs, which then go on becoming stronger than before in a gradual manner as hunger builds up. The peppermint can thus be used as an appetite stimulant for this reason. Thus in general the peppermint herb, which is really a fairly recent hybrid of the spearmint with the wild mint, is used both as herbal medicine and as a very popular flavoring in many commercial products. The plant is "young" and there was no plant called a peppermint until late in the seventeenth century as it was discovered only during that time. However, since the first discovery of its remarkable properties at the time, the peppermint has been extensively cultivated in many different parts of the world. Full use is made of both the leaf and the volatile oil - which is obtained by the process of industrial steam distillation. The peppermint herb is grown extensively as commercial ventures in many parts of the world including in large areas of Europe, in Asia, and in the North American continent. The peppermints will grow best in areas having moist soils, it prefers areas of loosely textured sandy soil that is rich in the content of humus. Mints are also very susceptible to infestations from common plant aphids, from cutworms and spider mites, and especially from the mint flea beetles, as well as the verticillium wilt disease and from fungal rust-particularly if the soil is too rich in nutrients. The immediate step to take incase of diseased plants is to dig them up and burned them at once. New mint plants can be re-planted in the next season in a different location. Peppermint is used for the common cold, cough, inflammation of the mouth and throat, sinus infections, and respiratory infections. Peppermint is also used for digestive problems including heartburn, nausea, vomiting, morning sickness, irritable bowel syndrome (IBS), cramps of the upper gastrointestinal (GI) tract and bile ducts, upset stomach, diarrhea, bacterial overgrowth of the small intestine, and gas. One of the main beneficial effects of the peppermint herb is its effective and excellent action on the overall functioning of the digestive system, the herbal remedy greatly increases the flow of all the digestive juices in the stomach and also promotes the flow of bile at the same time - the herb also relaxes the main muscles in the gut. The other beneficial effects of the herb lies in its soothing effects upon the lining and muscles of the colon, it also helps in alleviating cases of diarrhea and helps relieves a spastic colon - a condition often causing constipation in many people. The form of enteric - coated peppermint oil is also used as a short-term herbal treatment for alleviating the worst effects of irritable bowel syndrome - while it has been used in this role, not all of the double-blind studies conducted to measure this ability, have resulted in any statistically significant benefits for the condition. The diluted oil of the peppermint has also been used in the treatment of stomach disorders by gastroenterologists in England, the remedy is sprayed diluted and directly on to the instrument used during colonoscopy so as to prevent the onset of spasms. Peppermint oil used in this innovative way, has not gained wide appeal and adoption in other countries. The production of bile in the liver is also increased by the peppermint oil as well as the leaf based flavonoids to a very significant degree. The traditional use of the herb as an aid in digestion is supported to a great extent by this modern evidential confirmation. The peppermint based menthol also results in a lowering of the activity in a liver enzyme known as HMG CoA reductase and this compound may also theoretically lower the elevated levels of cholesterol in the body of patients. No significant clinical tests have supported the possible therapeutic use and the ability of the herbal remedy in this case is largely hypothetical. Test tube trials have also indicated that the oil of the peppermint oil possesses some antibacterial and antiviral properties; however, the herbal oil is not used to treat infections in any significant manner. The herbal peppermint tea is sometimes utilized as an herbal remedy to alleviate the discomfort caused by disorders such as gastroenteritis. Topical herbal remedies are also made from the peppermint oil and these are applied directly to the skin as a treatment for various disorders, used in this role the peppermint herbal remedy helps to relieve the pain and reduces sensitivity in the skin arising as a result of external disorders. At the same time, diluted peppermint oil is used in the form of an herbal inhalant remedy and it is also used as a chest rub for the treatment of respiratory infections of different types. In the treatment of digestive infections, the whole herb is important and effective when utilized in long term treatment. The essence of the peppermint is both a cooling and warming agent. Peppermint will induce the production of heat when it is taken as internal medication and these results in an improvement in the circulation within the body. At the same time, the peppermint by dispersing blood to the surface of the body, also induces sweating in the skin. As far as the treatment of chills and fevers, and symptoms of colds and flu, this ability of the peppermint can be put to very good and effective use. The peppermint possesses strong astringent and decongestant actions, which can help in relieving stuffiness and catarrh in many patients who tend to suffer from such types of illnesses. Peppermint oil derived menthol is also sometimes added to hot water to form an inhalant, so that the vapors can be inhaled for the treatment of colds and congestion in the respiratory system of patients. Additional use of the menthol or peppermint oil can also include making cough lozenges for the treatment of common colds and infections. Many topical rubs have menthol as a common ingredient; these are used to relieve sore muscles or affected joints and may also be used for the topical treatment so as to soothe itchy skin in different patients. A good general tonic can also be prepared from the peppermint herb; this can effectively recharge the body's vital energy and dispel the lethargy affecting a person. 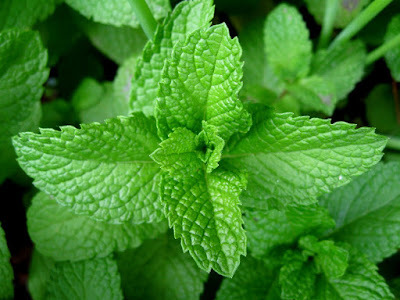 Peppermint is beneficial to the alleviation of irritation in the respiratory tract because it has a refreshing taste of mint immediately followed by a cooling and numbing effect when ingested, this same remedial action can also be apparent on the skin when the herbal remedy is rubbed into the skin. The analgesic effect of the peppermint is another of its prized remedial effects and the herb makes for an excellent local herbal application when used in the form of fresh leaf based remedy or in the form of herbal lotions. These are often applied to relieve the pain of inflamed joints in cases of disorders such as arthritis and gout, for the treatment of persistent headaches and to ease migraines that are linked to weaknesses in the digestive system, this herbal remedy is also used in the treatment of neuralgia, to treat sciatica and to ease general aches and pains affecting the body. Another excellent beneficial affect of the peppermint is felt internally, where it has a relaxing effect when ingested, it can calm persistent anxiety and tension and at the same time, act in relieving pain and spasms in the body. Menstrual pains can also be treated using remedies made from the peppermint herb, the herb is also used to treat asthma and insomnia in people. The remedies made from the peppermint are excellent in relieving problems in the digestive tract and the remedy relaxes smooth muscles and reduces inflammation internally, the remedy is also useful in relieving the pain and spasms during stomach aches, it is used in the treatment of colic conditions, in the treatment of persistent flatulence, in the treatment of heartburn, to treat cases of indigestion, to treat hiccoughs, and in the treatment of nausea and vomiting, and travel sickness in people. Peppermint has many tannins and these compounds can help protect the lining of the gut from physical irritation and infection and these same compound are also useful in the treatment of griping during diarrhea, in the treatment of spastic constipation, to treat Crohn's disease and cases of ulcerative colitis. Peppermint derived herbal bitters help in stimulating and cleansing the liver and the gallbladder, and also helps in the prevention of gallstones formation. At the same time peppermint derived volatile oils posses an antiseptic action, and this particular ability has now been confirmed as being bactericidal and anti-parasitic, it is also anti-fungal and anti-viral at the same time, and these oils are used in the treatment of various skin problems such as cold sores and common ringworm in many different individuals. 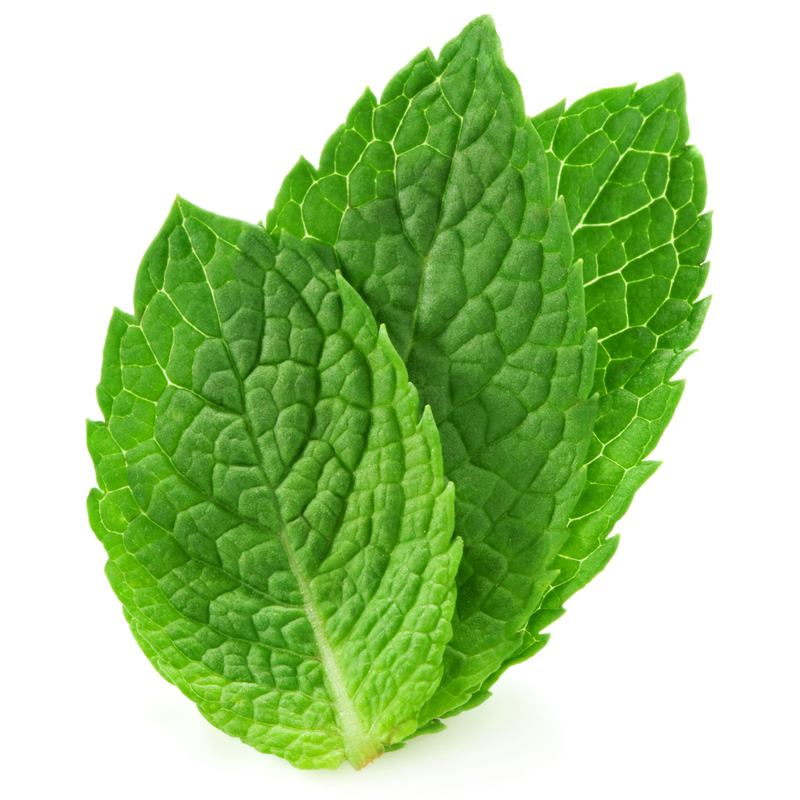 Some people inhale peppermint oil for treating symptoms of cough and colds, and as a painkille. There are many ways to use the peppermint in a variety of culinary recipes. One is to float some fresh peppermint leaves in chilled summer drinks or add the herb as an ingredient in different fruit punches. The peppermint is as necessary for the preparation of a mint julep as is the base - bourbon, and moreover it is the natural and essential addition to any gin based drink. The peppermint herb can also be used to enliven salads and hot or cold soups - add some fresh peppermint to these dishes. The peppermint can also be used as a flavoring herb, to bring out the flavor of cooked peas, and cooked new potatoes, and even baby carrots, this can be done by adding sprigs of fresh peppermint to the cooking water when these dishes are being prepared. The peppermint can also be used fresh or dried, to season all kinds of savory dips, to add flavor to butter, to different types of sauces, and to jellies, the peppermint itself can be used to make the classic mint sauce or mint jelly which is usually served with roast lamb. The peppermint can be used as a seasoning herb to flavor fish, to season prepared poultry, and other white or red meats, at the same time the addition of the peppermint can put some zest to bean and lentil-based dishes. The peppermint must always be added as crushed leaves before use to bring out the optimum flavor in the dishes, unless of course, you are making use of the herb as a garnish for various salads and greens. Vinegar can also be spiced up by adding sprigs of fresh peppermint to it before storage for further use.